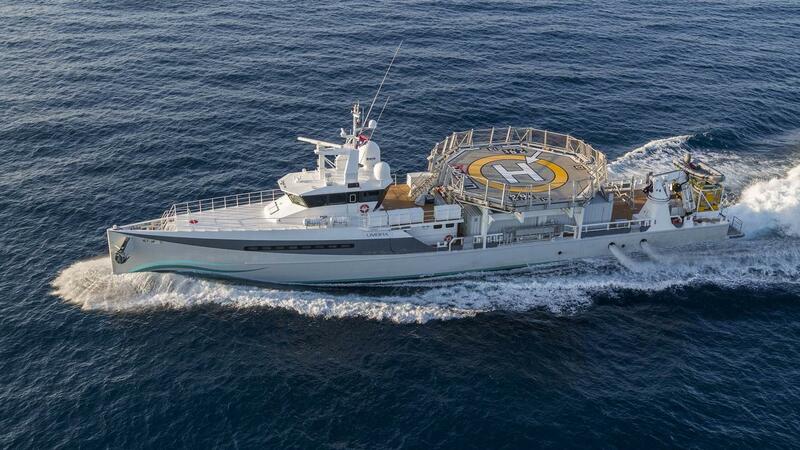 The 53 metre motor yacht support vessel Umbra, listed for sale by Stuart Larsen at Fraser, has been sold with Damon Smallwood at Yachts.In introducing the buyer. Built in steel and aluminium by Dutch yard Damen with naval architecture by Azure Naval Architects, she was delivered in 2008 and had a major refit in 2014. The refit, at Oceania Marine in Whangarei, New Zealand, involved lengthening her stern by two metres and adding a large heli-deck. She also now has a helicopter refueling station with an 8,500 litre capacity and the statutory fire fighting equipment. 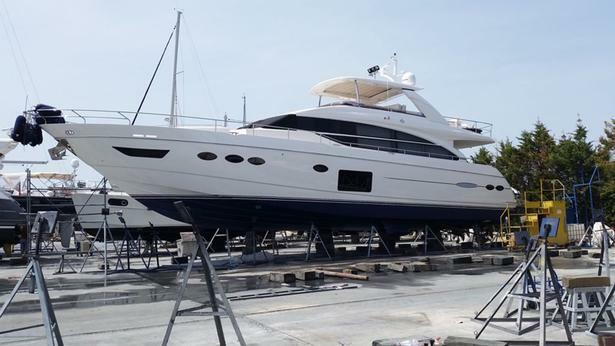 Umbra sleeps 20 crew in nine cabins consisting of a four berth cabin, four twins, two triples and separate cabins for the captain and chief engineer, all with en suite shower facilities. The cabins are located on the main deck, apart from the two triples which are below deck. Although she was designed and built as a high-capacity yacht support vessel, this superyacht has found a new purpose in recent years. Umbra has now been used worldwide from New Zealand to Vanuatu to Ecuador and most places in between on humanitarian aid and disaster relief missions for earthquake and typhoon victims. With her massive fuel capacity, fast speeds, long range and vast water tank capacities, as well as a heavy duty crane able to lift containers and pallets of supplies off her decks, she is ideally suited to her new role or could equally serve as a superyacht tender and support vessel. No fewer than four MTU 1,320hp diesel engines give her a range of 4,000 nautical miles at 11 knots and she is fitted with Quantum zero speed stabilizers. Damen Vessel Umbra sold. The 53 metre motor yacht support vessel Umbra, listed for sale by Stuart Larsen at Fraser, has been sold with Damon Smallwood at Yachts.In introducing the buyer. Umbra was asking $9,350,000.